The gameplay kicks off with Lara and another male friend (is that Jonah?) travelling through something a little less tropical – a frozen wasteland. They work together to climb a cliff, hampered of course, by many natural dangers. What lies on top? Lara eventually makes it to the surface, and glimpses something in the distance, a mythical land of sorts no doubt. All of this takes place of course, before she nearly falls to her death. She is narrowly saved by Jonah, only to be separated from him by an avalanche. 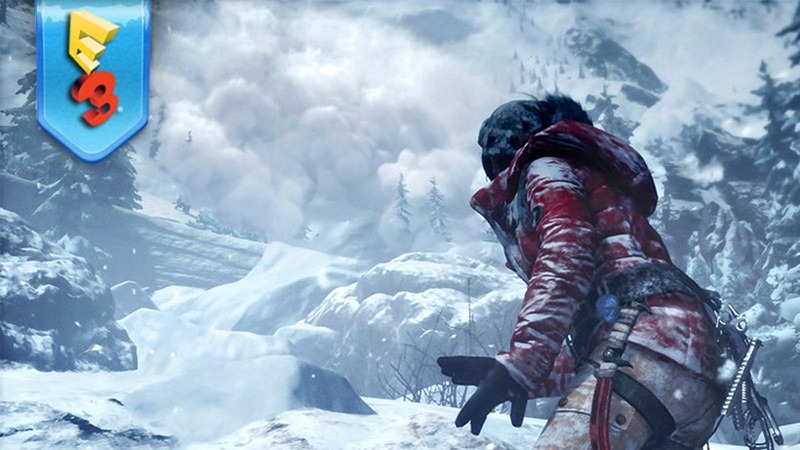 What follows is an intense sequence of Lara avoiding a snowy death, over and over again. Wounded, alone, and separated, she works hard to stay alive. Other locales are then shown – tombs, underwater mysteries, and the more tropical look we are so used to. Oh, and lots of explosions, something the new Lara isn’t shy of creating. This game is shaping up to be fantastic, and it’s one I am definitely excited to get my paws on. Rise of the Tomb Raider will be available on November the 10th. Next article Microsoft brings a collection of RARE’s games to Xbox One – along with a new one.